The New Forest is a stunning location that is within anyone’s budget. 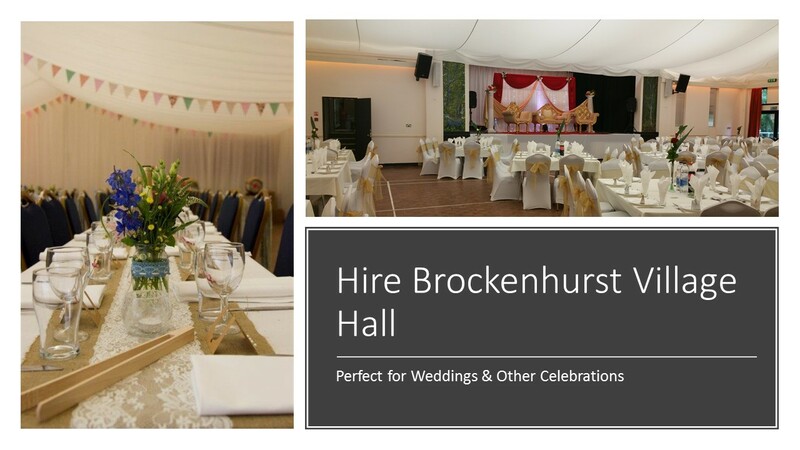 The heart of the Brockenhurst is a fabulous location for anyone seeking a special venue for that important celebration. Our wedding package includes exclusive use of the village hall building, including the excellent Forest Hall with its connecting servery and kitchen – perfect for catering for large parties. With excellent transport links, plentiful car parking and an outside play area to keep the children entertained, why go anywhere else? We don’t charge for ‘corkage’ or for using outside caterers. If you are hiring outside caterers with waiting staff, we have a fully fitted kitchen. There is also plenty of room for a large marquee and / or catering tent. If you wish to sell alcohol you will need to obtain the permission from the Hall Management Committee. Ask one of our team for more details. We will then contact you to complete your booking. Should you wish to explore our other rooms for hire, please have a look at Our Rooms.